Stretching your ears becomes as easy as it gets with this set. You can be sure you have all the required stuff to stretch one size up, except for a bit of Jojoba Oil. This set contains two stretcher for both earlobes. 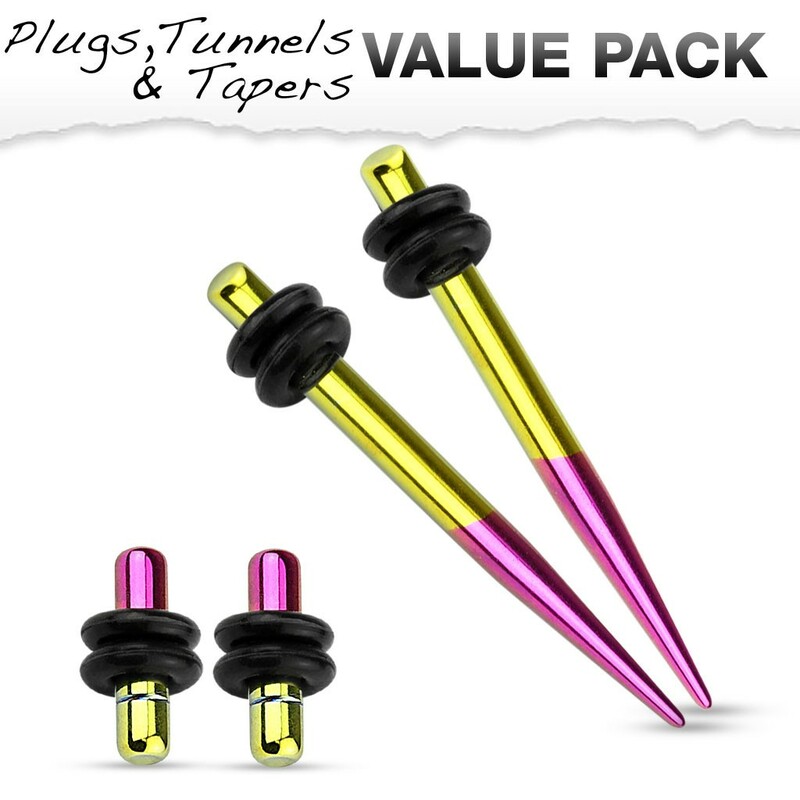 The two no-flare plugs offer the best way to let your ears heal in their new size. This set is titanium plated making it a lot stronger than regular surgical steel. On top of that the titanium makes the neon colours a lot more vibrant.